One of the best parts about being a Soil Building Program customer, is that we are regularly on your property to apply organic treatments to your soil and also inspect your landscape for any possible issues that might arise. The overall health of your landscape depends on early detection, diagnosis and treatment of any problems. One problem we see far too often in landscapes is the improper planting of trees. Trees that are planted too deep, or have burlap or wire around the root ball that was not removed, will cause a decline in the health of your tree. Unfortunately, it could take years to realize what is happening. Often, a tree may be dying before you realize there is a problem. It’s always best to start your tree out right with proper planting. Trees are an incredible benefit to our homes as well as to the environment. Trees are crucial to a healthy urban environment for many reaseons; they clean our air and provide oxygen, they shade our homes mitigating city temperatures and lowering electricity use and they help retain storm water runoff. Not to mention, they make our yards a nice place to hang out and provide habitat for wildlife. The list goes on! 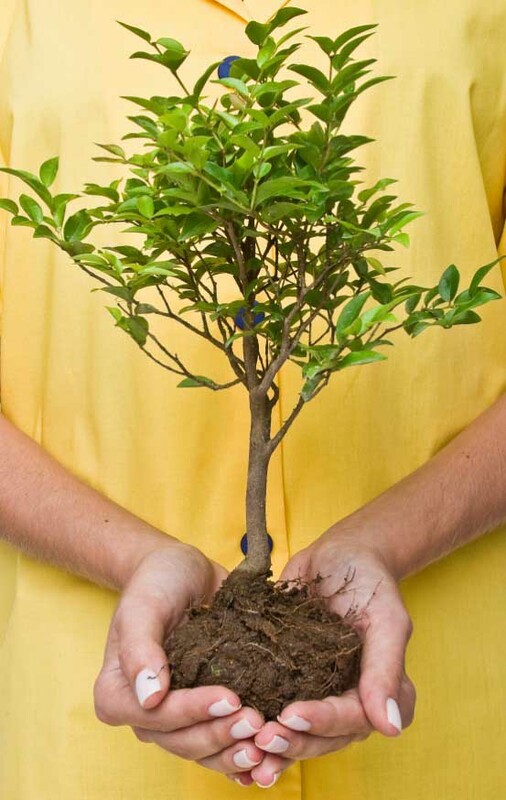 Planting a new tree is an exciting time for a homeowner and starting the tree out right will ensure a long and healthy life. While we do not plant trees as a service, we highly recommend hiring a certified tree care company to plant your trees properly. Or, if you feel that there could be an issue with the health of your trees, an arborist can offer help with that as well. Local arborists at Preservation Tree Services offer a handy guide to proper planting here. Keeping your soil healthy will greatly improve the overall health of your landscape, including your trees. Contact us here if you need further help diagnosing issues in your landscape.